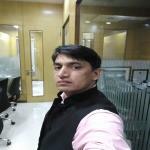 Ajay Yadav is a real estate professional, working as Agent Team in ABC Buildcon Pvt Ltd Gurgaon. I am serving in top localities of Gurgaon. I desire to fulfill my client’s requirements to best of my ability and experience. I have gained from working in the Real Estate Market.To get in touch with me you can leave your contact details in the query form. Please check my properties & provide reviews to promote my profile.